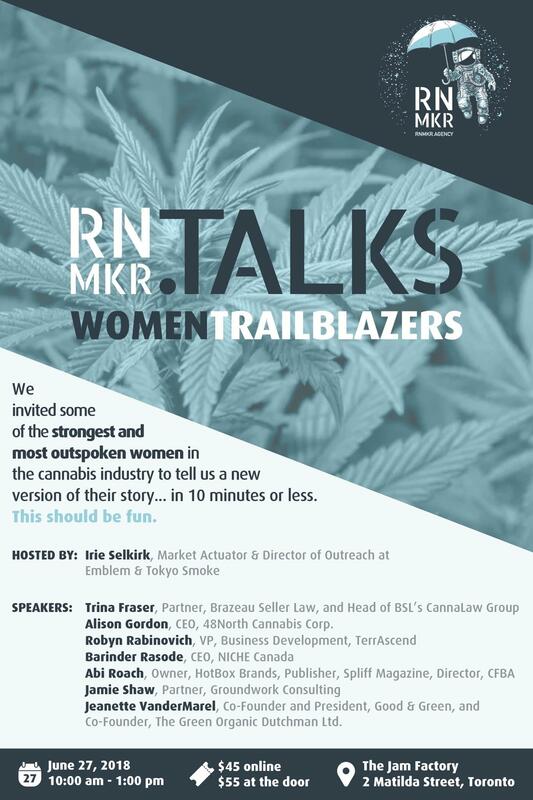 Proving that the cannabis industry isn’t just another boys’ club, RNMKR is bringing Women TrailBlazers to Toronto, the second installation in the .Talks series of educational and inspiring conversations about the industry. 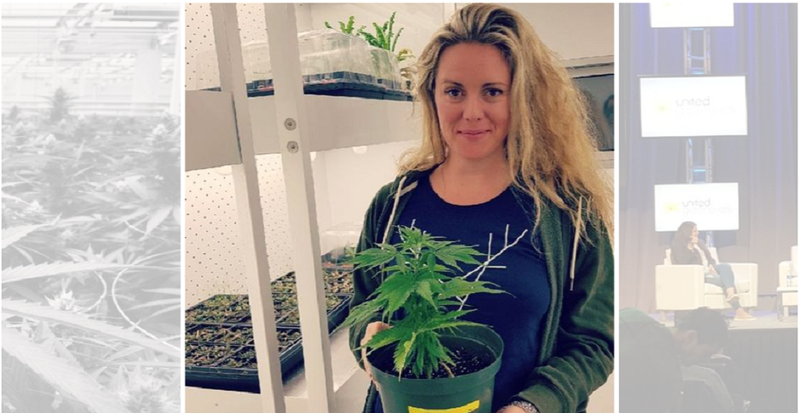 Irie Selkirk, Director of Outreach at Emblem Cannabis and Tokyo Smoke, is set to host the panel of seven strong female voices in the Canadian cannabis industry, each tasked with telling their story of achievement in 10 minutes or less. Sponsorship opportunities are also available. Contact Corey Herscu at [email protected] for more information.